When I’m working with teachers to improve student writing skills I’m often asked about sight words. Teachers can feel frustrated with their students’ lack of awareness when using sight words in their writing. Why can students read them correctly but not write them accurately on their own? The simple answer is that reading is an input activity, while writing is an output activity. While reading does take great attention and skill, writing require even more and at higher levels. The first step in helping students improve their ability to spell sight words in their writing is to create an awareness of the words themselves. When my students have faced spelling challenges I found it useful to reflect on my expectations of them as writers and what tools I was providing in the classroom. I found a mismatch between what I expected them to accomplish on their own and a lack of tools available to them. One strategy I used to remedy this was my all time favorite way to display sight words. 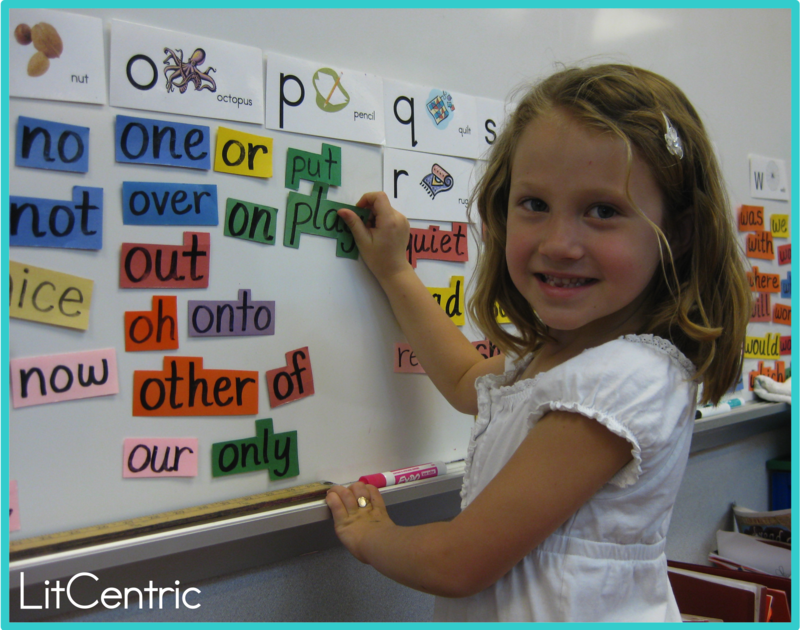 With a magnetic word wall I can create the ultimate interactive spelling tool. 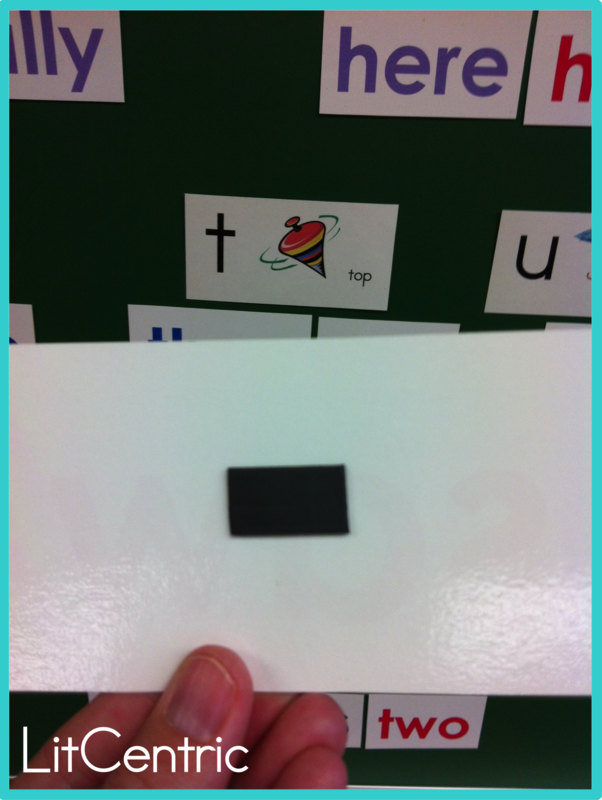 I attached magnetic tape, available at craft stores, to the back of laminated sight word cards I made and attached them to a magnetic board in my classroom. The board shown in these pictures is an old chalkboard in my Reading Room. 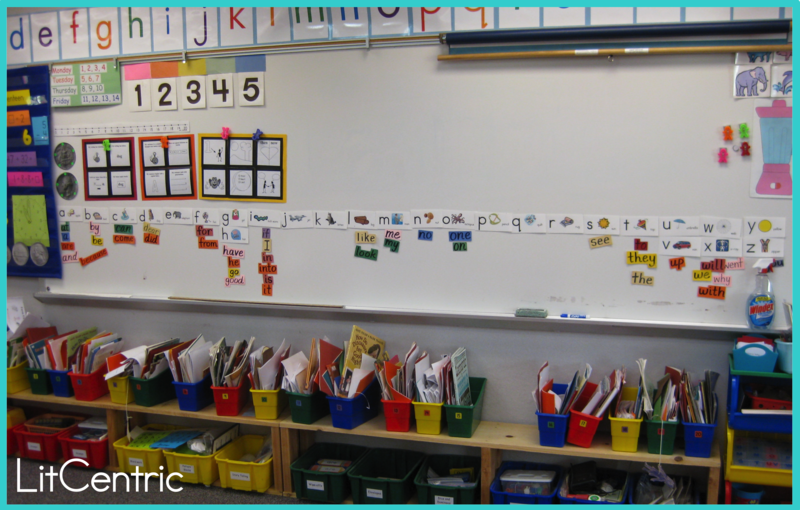 When I displayed the word wall in my first grade classroom I organized it along the bottom of two whiteboards, shown below. I found I wasn’t using the bottom part of my whiteboard much and it’s eye-level for my students. Perfect! Now my expectation of students using sight words correctly in their writing finally matched up with a student-friendly tool to accomplish the task. Our spelling rule was: If the sight word appeared on the wall, it must be spelled correctly in all forms of writing. 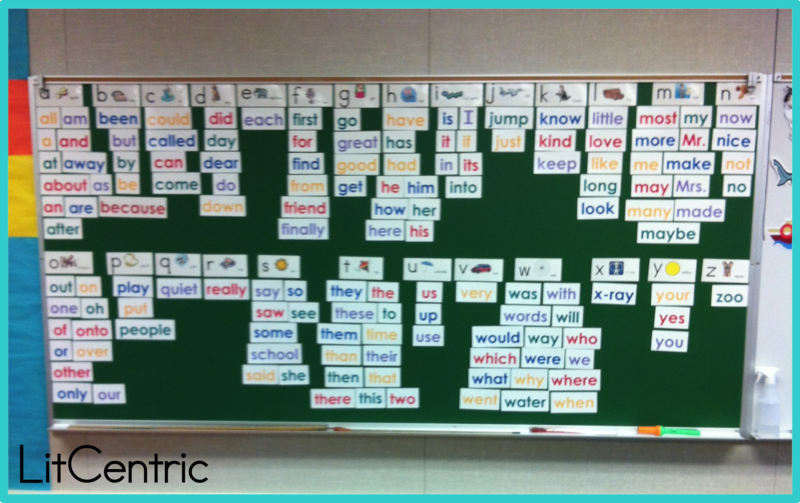 Students had the words at their fingertips and were encouraged to get up and use the wall any time they needed it. Students would leave their desk, select the word they needed, and take it back to their seat for spelling assistance. They then immediately returned the word to its location on the wall. I could finally hold student accountable for spelling in a motivating and age-appropriate way. And by carefully controlling the words we added to the wall each week I could monitor student success more easily and make spelling a bit more manageable for students. Another benefit to an interactive, magnetic word wall is that I can move the words around to build simple sentences or sentence frames during lessons. 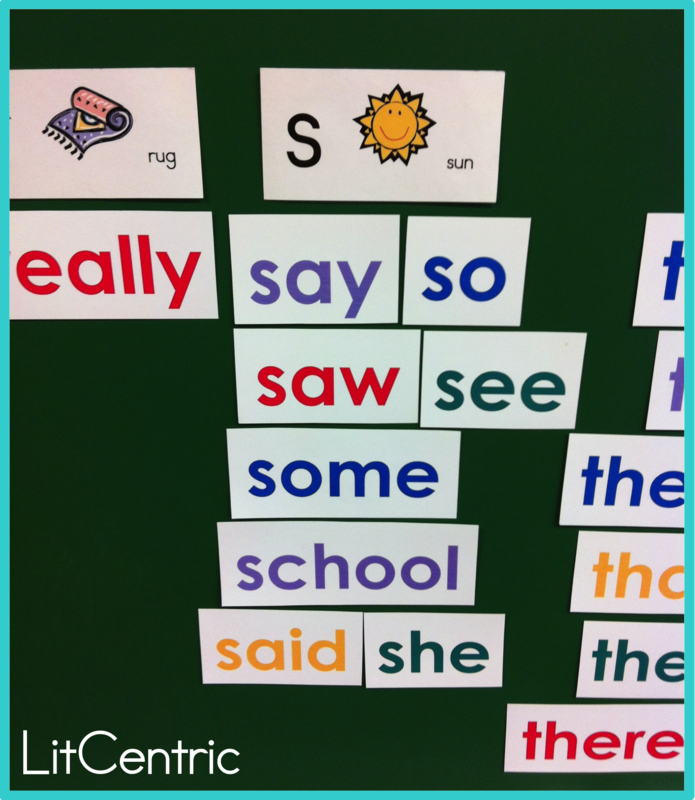 And there are many games using sight words that are easy to play on an interactive wall. I found the interactive, magnetic word wall so invaluable a resource that I made sure to have one in every classroom I’ve ever taught in. The laminated words last for years and it’s easy to replace one that’s been lost or damaged. With a little work up front, you too can create an incredible tool for reading, writing, and spelling in your classroom. Will you give it a try?